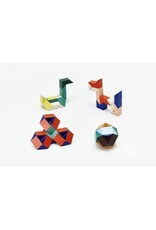 Snake Blocks™ are a classic toy reinvented in wood and elastic. 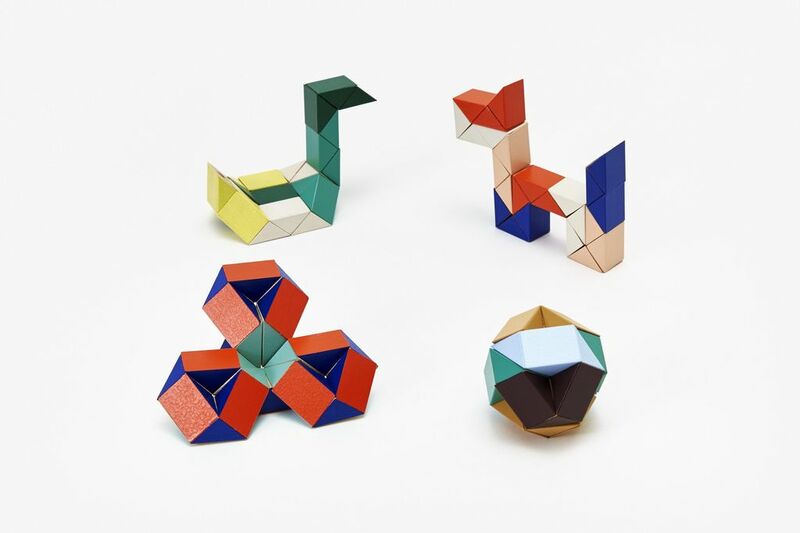 Twist and turn the colorful blocks to create endless forms, serpentine shapes and geometric patterns, including a sphere, a swan, a dog and a fish. Composed of 24 painted wooden triangles with an elastic band throughout.